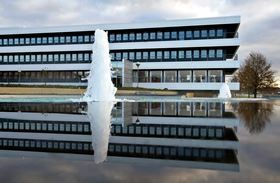 Grundfos's headquarters in Bjerringbro, Denmark. Grundfos is working with start-up scout Valuer to connect with global entrepreneurs and accelerate the pump company’s digital transformation. Valuer is a digital platform connecting large corporations with small start-ups worldwide. The Danish company scouts the global start-up market through a network of agents on the ground and then matchmakes these entrepreneurs with its corporate partners. Östbye highlights data analytics and data management as interesting areas that could gain further traction from this partnership. “Partnering with Grundfos is a very interesting opportunity for us. We can offer an innovative approach to corporate to start-up matchmaking, and with Grundfos as one of our partners, we can attract even more attention and goodwill from entrepreneurs and the opportunity to cooperate and grow through Grundfos,” said Dennis Poulsen, CEO of Valuer. Fredrik Östbye is joining Grundfos as group vice president and head of digital transformation.